Permeable Paving Options – Add 10% To The Value of Your Home! Permeable paving options? We all know the value of curb appeal, a cracked or tatty driveway suggests that the rest of a property may be in disrepair. Just how much value can you expect a new driveway to add to the value of your home? Experts estimate a tasteful driveway can add at least 10% to the value of your property. Suds legislation was introduced in 2010, to combat the flash flooding caused by vast swathes of the UK being covered in concrete and Tarmac. Suds compliance requires the use of permeable paving and planning permission is required for any new driveway over 6m2 if an approved surface is not used. What permeable paving options are available? Several permeable paving options are available- from inexpensive loose gravel. Grid systems, block paving, porous asphalt , resin bound paving and rubber- resin systems. All have their all have plus and minus points. Although relatively inexpensive, stone can migrate from loose gravel and grid systems and be difficult to walk on in heels. Block paving requires regular maintenance and periodically dressing with sand . 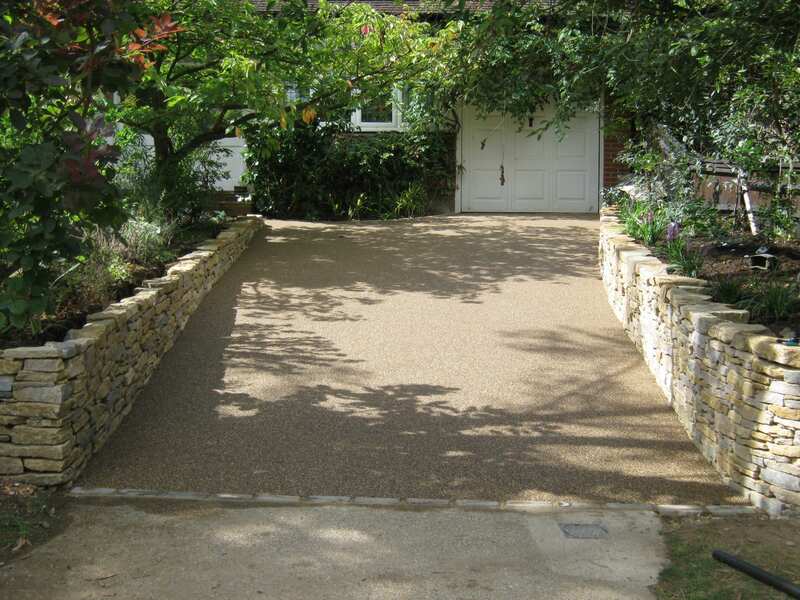 Resin bound gravel is installed over concrete or tarmac. This causes problems when water travels through the permeable 20mm surface and traps between the concrete or tarmac. As water freezes it expands and this can cause cracking and delamination. A period of at least six weeks must be left before resin is installed onto tarmac to allow natural oils to dissipate. A regular resin surface must be treated with frost in frosty weather and cleaned immediately afterwards. Asphalt or open textured macadum is prone to has no flexibility and clogs over time. If you are considering for a resin bound system, consider using Sudstech. This system has none of the disadvantages of a traditional resin system. Sudstech resin bound paving has a unique patented rubber and stone sub base. The system is installed directly on to type 3 aggregate. Rain water percolates through the Sudstech surface back into the ground. Due to the flexibility of the surface Sudstech will not to clog. Maintenance is absolutely minimal. Sudstech is also a soak away and there is no need to ask for planning permission or in most circumstances need any further surface drainage. Sudstech can process more than 50,000 litres of rain water, per meter, per hour. Sudstech is tested at the British research establishment to withstand freeze thaw and impact resistance. Trailflex is a rubber and stone system that bound together with resin. Like Sudstech , Trailflex is fully permeable and requires no planning permission. Both Sudstech and Trailflex are available in a range of colours and finishes. Patent Rights: How Can Businesses Protect and Thrive? Permeable Paving Options: Add 10% To The Value of Your Home!